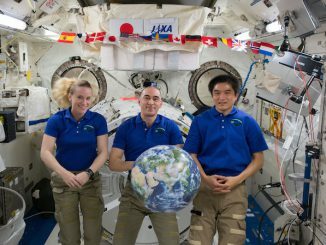 The three-stage rocket took off at 2333 GMT (6:33 p.m. EST) Saturday from the Uchinoura Space Center in southern Japan’s Kagoshima prefecture, four days after inclement weather at the base scrubbed a launch attempt Tuesday. The launch occurred at 8:33 a.m. Sunday Japan Standard Time. Standing just 31 feet (9.5 meters) tall and spanning around 20 inches (52 centimeters) in diameter, the SS-520-4 rocket was modest by launcher standards. If the flight was successful, the solid-fueled booster would have become the smallest rocket to ever put an object in orbit around Earth. The rocket blasted off from a rail launch system at Uchinoura, aiming east from the Japanese coast over the Pacific Ocean and quickly accelerating into the stratosphere, reaching an altitude of more than 80,000 feet (24 kilometers) within 30 seconds, when the first stage motor finished consuming its propellant. 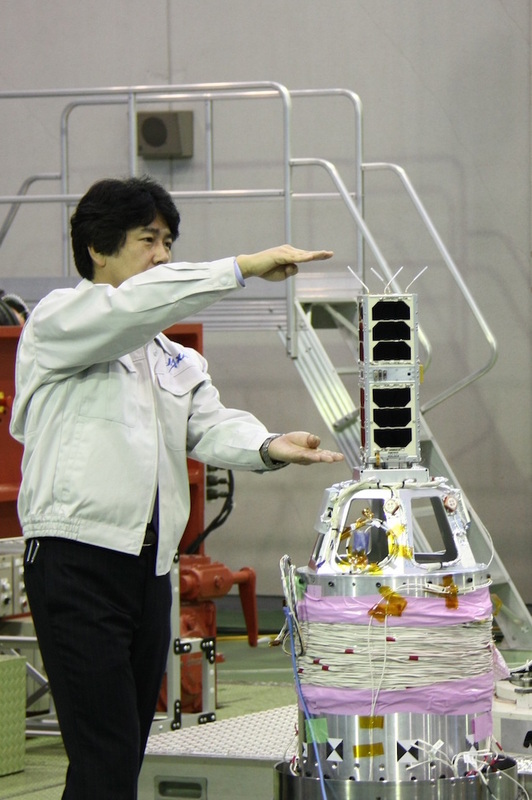 But Japanese officials said a problem prevented telemetry from the rocket from reaching the ground in the final phase of the first stage’s half-minute burn, and a command to ignite the second stage was not issued. The rocket was tracked by launch controllers normally, and it fell into a designated safety zone downrange from Uchinoura, according to the Japan Aerospace Exploration Agency. 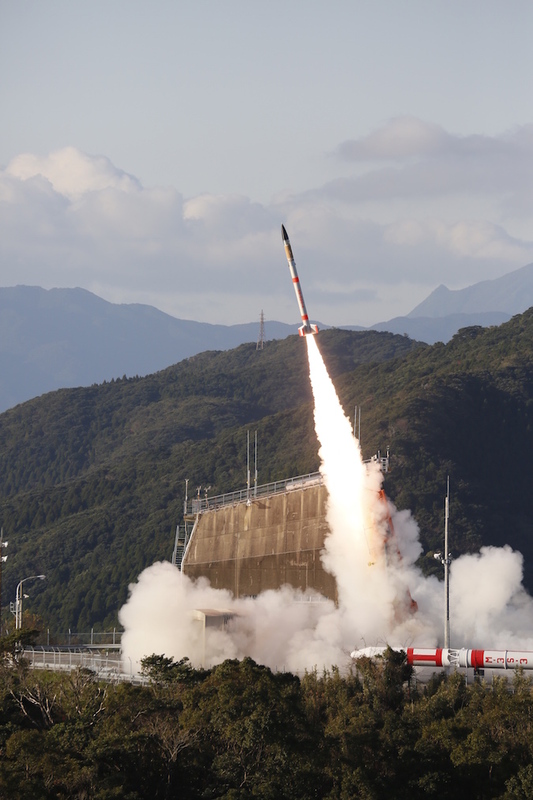 Primarily funded by a $3.5 million budget provided by the the Japanese government’s Ministry of Economy, Trade and Industry, the SS-520-4 test flight was a one-off demonstration by Japan’s space agency, which aims to validate low-cost technology and launch operations procedures for a future “nano-launcher” to deploy tiny satellites in orbit on dedicated rides. There were no plans for a second SS-520-4 mission announced before Saturday’s demo launch. 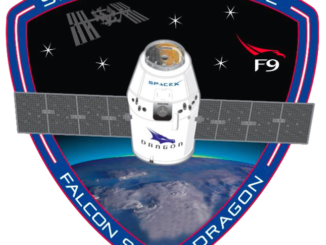 The launch was purely an experiment, and the student-developed TRICOM 1 CubeSat stowed in the nose of the SS-520-4 booster was as much an educational tool as a space research probe. The CubeSat went down with the rocket into the Pacific Ocean. The small-scale satellite launcher was based on Japan’s SS-520 sounding rocket, a two-stage vehicle developed by IHI Aerospace and JAXA’s Institute of Space and Astronautical Science, which has flown twice on suborbital research missions from Uchinoura and Svalbard, Norway, in 1998 and 2000. According to JAXA documents, the SS-520-4 weighed nearly 2.9 tons (2.6 metric tons) at launch, with nearly 2.2 tons (2 metric tons) of that weight made up of pre-packed solid propellants. The SS-520-4’s first stage was loaded with nearly 3,500 pounds (1,587 kilograms) of HTPB solid fuel, while the second and third stages were to burn 716 pounds (325 kilograms) and 172 pounds (78 kilograms) of propellant, respectively. 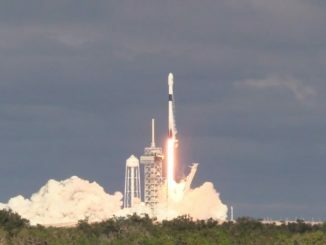 The rocket was targeting an orbit ranging between 111 miles (180 kilometers) and 932 miles (1,500 kilometers) in altitude, with an inclination of 31 degrees. The SS-520-4 experiment comes as several companies develop commercially-owned rockets sized to serve the small satellite launch market. One of companies, Rocket Lab, says it will fly its Electron rocket for the first time from New Zealand in the coming weeks. A launch date has not been announced.